MC College Vegas shirts? Check. Passports and boarding passes to Las Vegas? Check!! 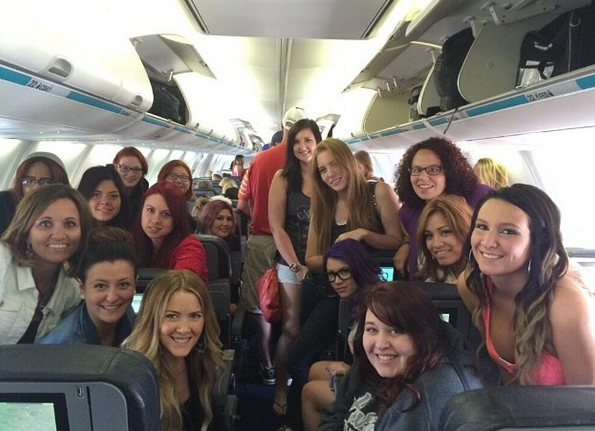 From July 12th to 14th, over 90 MC College students and staff across Canada travelled to Las Vegas for the North American Hairstyling Awards and MC Viva Las Vegas Hair Show. Every student who enrolled in the June Hairstyling program received this trip at no cost! The hair show, exclusive to MC College students, featured Pivot Point’s International Artistic Director, Yolly Ten Koppel and Platform Artist, Laddie James. The finished looks included sky high textured updo’s and avant garde styles with blue/purple ombre. While on stage, Yolly and Laddie gave advice about competing in hair shows and how to develop/retain clientele in the salon industry. This year, two MC College Hairstyling Instructors, Kym Carrol (Kelowna) and Candice Laczko (Saskatoon) were guest platform artists. Candace created a look inspired by the 1930’s, while Kym created a boho inspired hair look; perfect for this summer’s music festivals. We also had Ashley Britton, Hairstyling Instructor from the MC College Winnipeg campus, do a presentation about submitting work for the NAHA’s student category. But the show stopper of the event was our guest speaker, celebrity hairstylist Michael O’Rourke. He has won the NAHA lifetime achievement award for his work in the beauty industry over the last 50 years. Michael is well- known for his philanthropic endeavors, world renowned cutting system and his big personality. He is the visionary behind the styling product label: Rock Your Hair, which donates a portion of all sales to women’s shelters across North America. 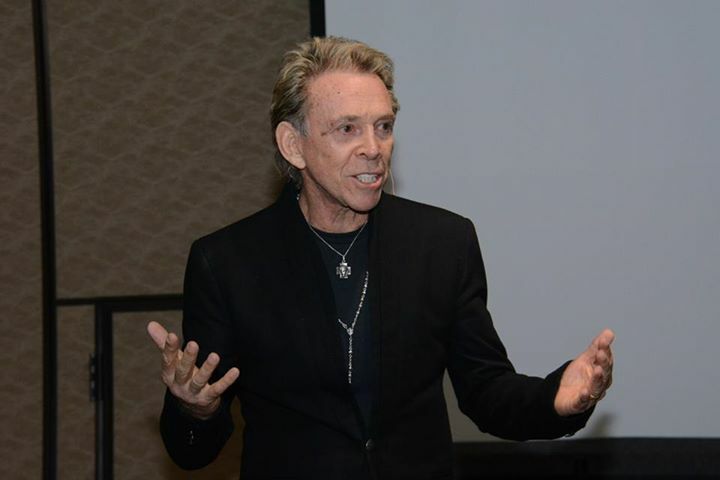 Students and staff sat in awe as they listened to his inspiring speech and watched his passion for the hairstyling industry come to life on stage. He spoke about the obstacles he went through to get to where he is now and gave advice on how to be successful in the Hairstyling industry. “The secrets to success are: 1. Be there first. 2. Dress to impress and 3. Educate yourself” said Michael. Before leaving the stage to take photos with students, he gave everyone words of encouragement, “Don’t ever give up your trade. Always hustle and be thankful that you’re healthy”. 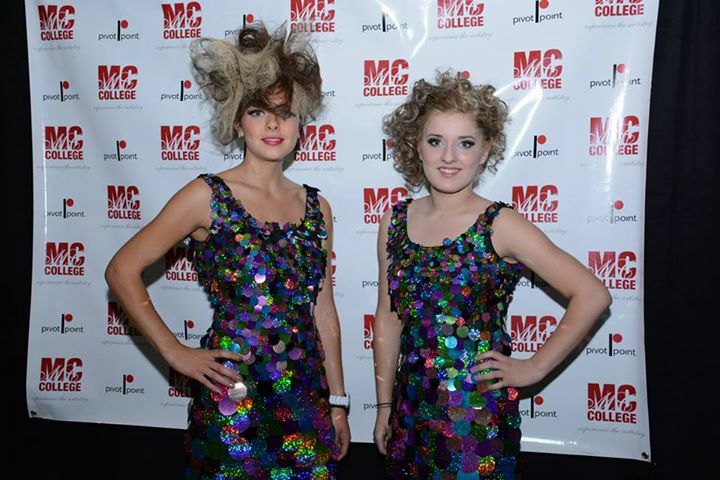 After the hair show, students and staff got glammed up for the North American Hairstyling Awards. 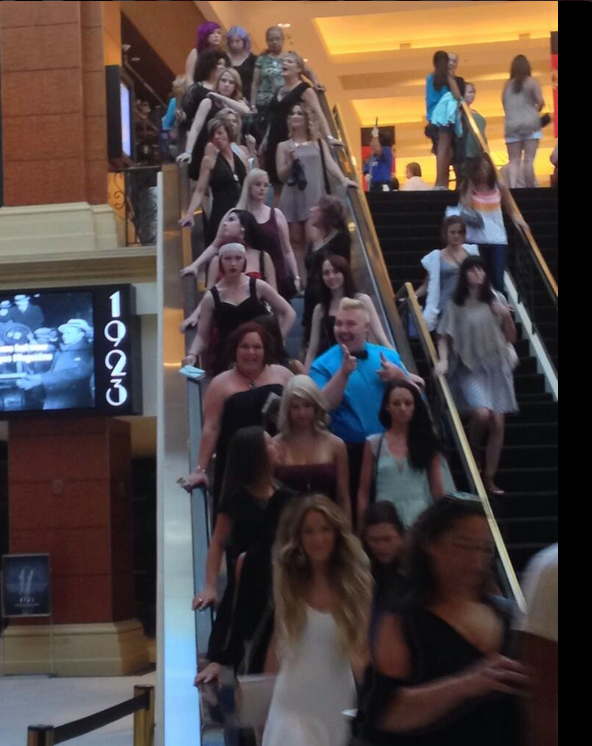 As we ‘marched’ from Luxor Hotel to Mandalay Bay Resort (where the show was being held) with our high heels and big hair, heads turned and people stopped in their tracks. Students got the opportunity to rub shoulders and network with industry artists and celebrity hairstylists. The show included amazing artistic presentations from JCP Salon, Allen Ruiz, Redken and Mark Cuban. Congratulations to all of the NAHA winners and finalists! Missed our live tweets? Want to view more pictures? During the trip, our students and staff were busy tweeting, facebooking and instagramming away. 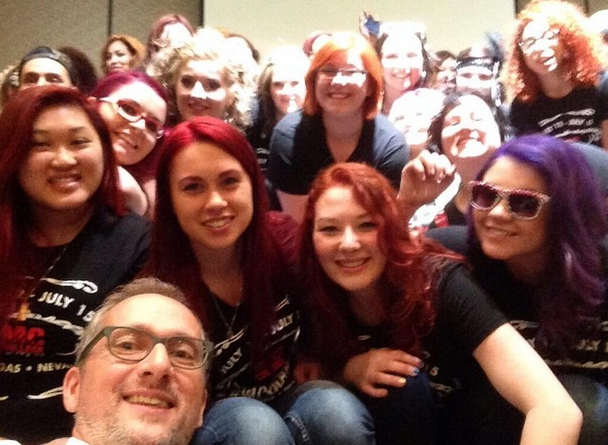 Search up #mcxnaha and you’ll see some of the awesome pictures and updates from the trip!